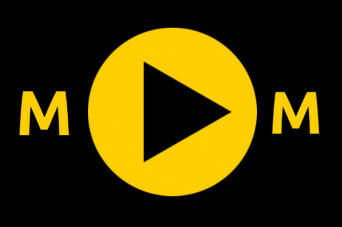 Home to the Media Fellows Program, and to DePauw student television, radio, and the newspaper. Shaping the people who shape the conversation. 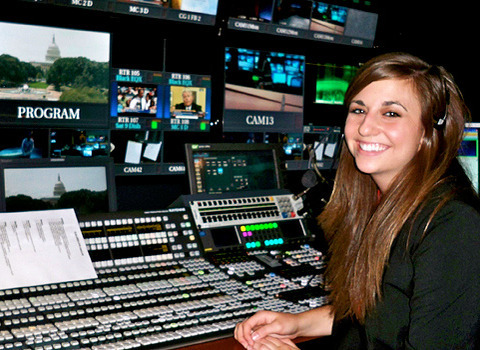 During her time as a Media Fellow, Lydia Hayden's internships took her to C-SPAN in Washington, D.C., and Big Sky Productions in Cape Town, South Africa. 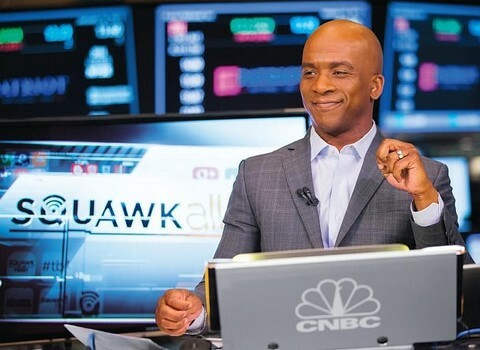 Drawn to DePauw by the Media Fellows program, CNBC's Jon Fortt '98 is at the forefront of technology coverage. 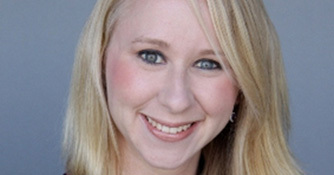 Meredith H. Siemens '05 Named One Of the "Forty Under 40"
Meredith H. Siemens '05 is among the "Forty Under 40" featured in South Carolina's Charleston Regional Business Journal. 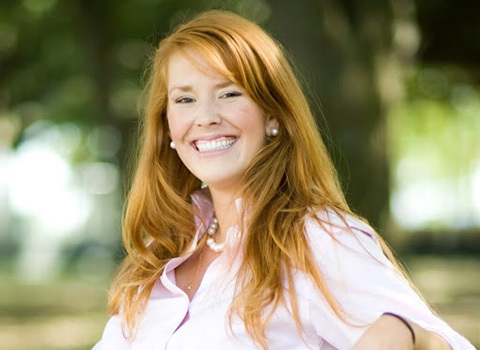 Siemens is executive director, public relations and communications, for South Carolina Federal Credit Union. 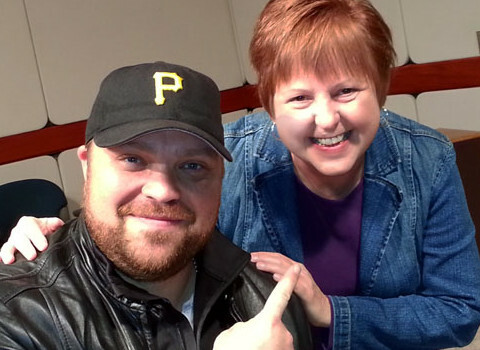 Drew Powell '98 to Speak At Commencement! Media Fellow Drew Powell, an actor and 1998 DePauw University graduate best known for four seasons as a character on Fox's hit series Gotham, will provide the primary address to his alma mater's Class of 2019 at the Sunday, May 19 commencement ceremonies. 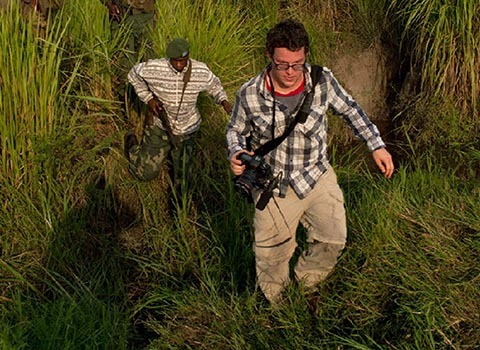 New York Times Mulitmedia journalist Ben Solomon '10 and his reporting team were recently named winners of the 2015 Pulitzer Prize for International Journalism for their ongoing report on the Ebola outbreak in west Africa. 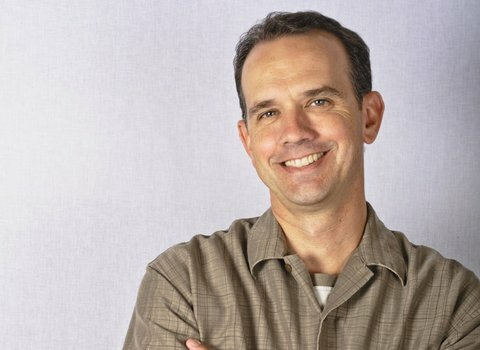 Dr. Jonathan Nichols-Pethick talks about what being a Media Fellow means for you. 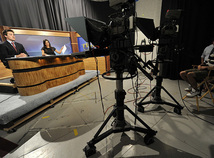 Combining classes with hands-on experience, the Media Fellows Program trains students in the theory and practice of media. Media Fellows benefit from semester-long, off-campus media internships at sites such as The Today Show, The Colbert Report, the White House, USA Today and C-SPAN; a robust speakers series that brings students face-to-face with professionals from premier media and governmental organizations; and the Pulliam Center for Contemporary Media, a living laboratory where students gain experience in radio and television production, newspaper and magazine publishing, and multimedia for the web.